UPDATE: This special pre-order offer is now expired. 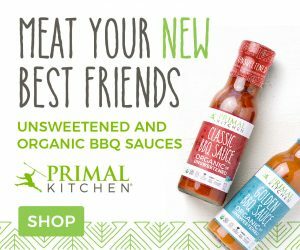 While the 20% discount no longer applies, order a copy of Quick & Easy Meals today and you will still receive the Primal Blueprint Shopping List (while supplies last) and FREE S&H (domestic orders only). I’m very excited to announce that Primal Blueprint Quick & Easy Meals will begin shipping next week! 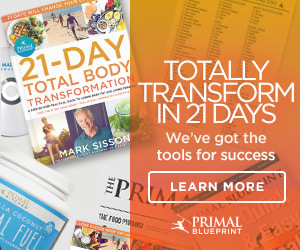 Since releasing The Primal Blueprint back in 2009 countless readers have asked me a) “what exactly should I eat?” and b) “how can I do it with little to no time?”. Last year, professional chef Jennifer Meier and I put our heads together to answer the first question. The result was the original Primal Blueprint Cookbook. On the heels of its success we jumped straight into the task of answering the second question. And now, I’m proud to say, our mission is complete. In this new book you’ll find over 100 mouth-watering recipes with easy-to-follow instructions and 300 brilliant, full-color, glossy photographs to guide and inspire you to cooking Primal meals in 30 minutes or less. To mark this occasion and to thank loyal Mark’s Daily Apple readers I’ve put together a special 72-hour limited-time pre-order offer for you (offer expires at 10 am PST, Sunday, March 13). Continue reading to learn why you should pre-order your copy of Primal Blueprint Quick & Easy Meals today! What is the Cost of Eating Healthy Foods? A couple years back I highlighted a Time Magazine photo essay called “What the World Eats.” It was a fascinating visual comparison of what – and how much – representative families across the globe consumed in a given week. (Several obliging MDA readers later shared photos of their own rations.) Revealing on yet another level, the Time feature included the cost of each international family’s provisions. Expenses varied radically as you can imagine with weekly expenditures ranging from $1.23 in Chad to more than $500 in Germany. The three American families, incidentally, reported spending $159 (California), $242 (Texas), and $342 (North Carolina) each. With the talk about rising food prices looming in the headlines again, I found myself thinking about Primal food costs. Is anyone seeing the jump yet? Are Primal folks more or less affected by these periodic fluctuations? Do we, as a Primal group, really spend more than the average American on our food? Take a look at that picture to the right. Appetizing? While I wouldn’t be surprised by numerous affirmatives from the Mark’s Daily Apple community, for most people even the sight of brains, kidneys or tongue is enough to turn their stomachs. Nutritionally, of course, we can all agree that offal is fantastic stuff. Leading the pack is liver, also known as nature’s multivitamin and the best source of pre-formed vitamin A. There’s the heart, full of CoQ10 and taurine, and the kidney, a rich source of selenium, B12, and tons more. Brain (rich in omega 3s) and marrow (rich in awesomeness) got mankind involved in our million year-old torrid love affair with animal flesh, while tongue is rich in fat, protein, and B-vitamins. The nutritional content of tripe, thymus glands, eyeballs, blood, intestines, and other miscellaneous parts are less studied but undoubtedly just as impressive. But truly enjoying offal – diving into a slab of liver, a heart kebab, or a plate of brains with slavering hunger and conspicuous salivation because you crave it – can be a hard sell. You know it’s good for you, intellectually, but the hunger often isn’t there. It’s kinda like forcing yourself to like a highly lauded yet obscure French film or listen to some underground experimental rock band that no one’s really heard of but who influenced just about everyone. You know it’s supposed to be amazing, and everything points to it being objectively good, but you simply can’t get into it. I even see a strong undercurrent of Primal folks who actually feel guilty about not eating organs. Is the military going Primal? They’re sure leaning that way. Kit Up! has a scoop on new Army fitness standards branded as “combat readiness,” much improved from plain old sit ups and 2 mile runs. I’ve mentioned a New York Times piece almost every week for two months now. This leads me to believe that we may finally be seeing a major shift in CW. This week? Coconut oil is trendy and healthy. Gone Primal, but still whinged into buying bread-product for your offspring? Suburban Mystic Mom explains why the birds around her house are well fed as of late. Paleo’s in the news! Nightline recently ran a feature on “the caveman diet.” What is this crazy diet? Tell me more!